Da har vi en ny utfordring klar for dere hos MAWTT. Denne uken ønsker vi å se bidrag hvor dere er inspirert av en film eller en sang! We have a new challenge for you at MAWTT. This week we want to see contribution inspired by film or song! Mitt kort er inspirert av filmen "Karate Kid"
My card this week is inspired by the movie "Karate Kid"
Oh cute ! superb boy's card, and great inspiration ! This is gorgeous sweetie, so adorable. Fantastic boy's card. This little guy is adorable Marita! Fabulous image and design!! Så stilig dette kortet er. Så fint med alle tannhjulene og muren bak han karate gutten. Marita, what an awesome card! Just perfect for any guy -- young or older, and with a great inspirational theme too! Sorry it's taken me some time to get here but things have been busy and slow-going; however, didn't want you to think I'd forgotten about you! I hope I'll be doing better and getting here more often to see your fantastic creations! Fabulous card Marita! Great image and I love those cogs! This card is absolutely gogeous Marita, some little boy's gonna be very happy! 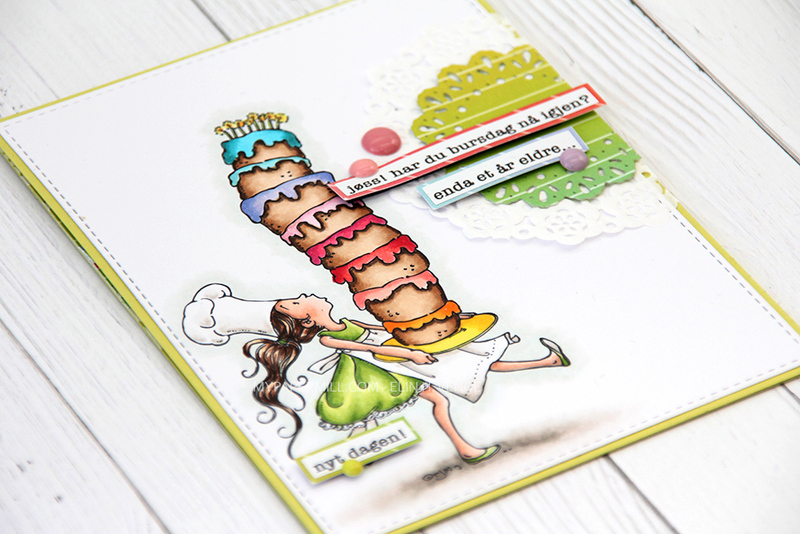 Super cute card Marita - love the background papers and fab image. Håper solen har begynt å varme litt i nord og at snøen snart begynner å smelte hos dere også. Skikkelig tøft og flott kort! Great card, one of my favourite films ever! Ha ha this is perfect for the challenge, very apt image and the cogs look great.